A/ Charles Mac Farlane, Turkey and Its Destiny: the results of journeys made in 1847 and 1848 to examine into the state of that country. In two volumes. London, John Murray, 1850, 2 cilt: c.1 - xii, 543, , 16 s.; c.2 – x, 681 s. Yayıncısının orijinal bez cildinde. 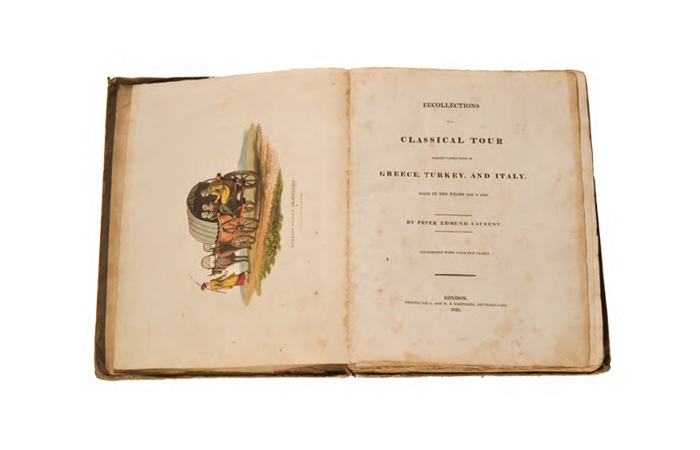 B/ Peter Edmund Laurent, Recollections of a classical tour through various parts of Greece, Turkey, and Italy, made in the years 1818 & 1819. London, G. And W. B. Whittaker, 1821, xii, 317,  s.;  renkli planş. Yorgun cildinde.